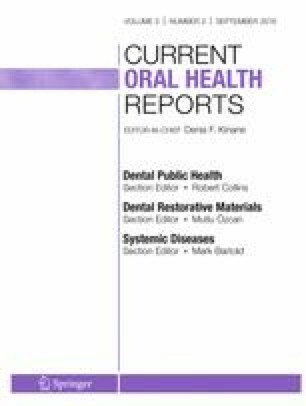 Recent progress in endodontics, particularly encouraging regenerative outcomes achieved by evoked bleeding therapy in the treatment of necrotic immature permanent teeth, clearly suggests that establishment of a regenerative-based clinical strategy is closer than ever before. In this context, an efficient disinfection of the root canal system, mainly through the eradication of microbial biofilms, is a crucial step. Accordingly, numerous bacterial biofilm models have been used in vitro as an attempt to simulate the clinical conditions. To offer a comprehensive update on progress in the field, this review provides an overview of biofilm role in endodontic disease and in vitro biofilm models, the importance of disinfection, a brief review on antibiotic-containing polymer nanofibers and their antimicrobial properties, and future perspective of this novel intracanal drug delivery strategy in regenerative endodontics. Limitations in reproducing in vivo conditions will always exist; however, creating a laboratory-based biofilm model that very closely simulates clinical situations makes in vitro research reliable and the first step towards translation of new therapies. M.C.B. acknowledges start-up funds from the Indiana University School of Dentistry, the NIH/NIDCR (Grant No. DE023552), and an International Development Funds (IDF) Grant from Indiana University Purdue University (IUPUI/OVCR). The content is solely the responsibility of the authors and does not necessarily represent the official views of the National Institutes of Health. Maria T. P. Albuquerque, Juliana Y. Nagata, Anibal R. Diogenes, Asma A. Azabi, Richard L. Gregory, and Marco C. Bottino declare that they have no conflict of interest. American Association of Endodontics. 2016. http://www.aae.org. Accessed 2 May 2016.